Our team prides itself on its professional approach and experience. 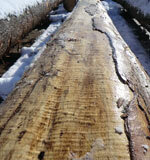 Harvesting is done by hand or using machines and we also provide forwarding services. 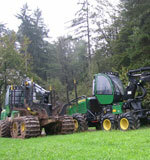 Machine harvesting is gaining ground in Slovenia. 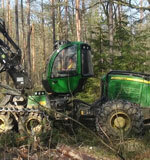 It enhances job safety and, compared to manual techniques, provides a faster, more efficient solution for clearing natural debris (damaged caused to trees by high winds, snow, sleet). 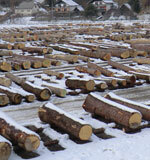 We buy all types of forest assortments. 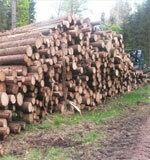 We buy timber at the stump (we handle harvesting and forwarding) or at roadside landings (harvesting and forwarding are handled by the original owner). 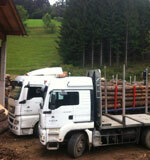 We transport wood throughout Slovenia. 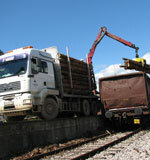 We can move wood of all shapes and sizes, from raw timber to pre-cut wood. Našo ekipo Our team is made up of individuals who, through their knowledge and experience in their individual fields of expertise, come together to form a highly efficient collective. Besides the sustainable management of your forests, we also offer expert consulting in forest planning management. 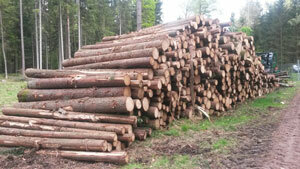 The Association of Forest Owners of the Mislinja Valley and the Association of Forest Owners of Slovenia, in cooperation with the Slovenia Forest Service, are organizing the ninth auction of the most valuable timber assortments in Slovenia. 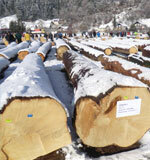 This time, the auction will be held in Slovenj Gradec. Enter your email address to stay informed about public tenders and forest news!